Today, Baltimore City State’s Attorney Marilyn Mosby announced charges against six police officers implicated in the death of a 25-year-old black Baltimore resident named Freddie Gray. Mosby’s handling of the high-profile case — and the powerful statements she made at the press conference to announce it — has set the stage for her to become a political powerhouse, with some on Twitter already predicting she’ll one day be president (we won’t go that far). 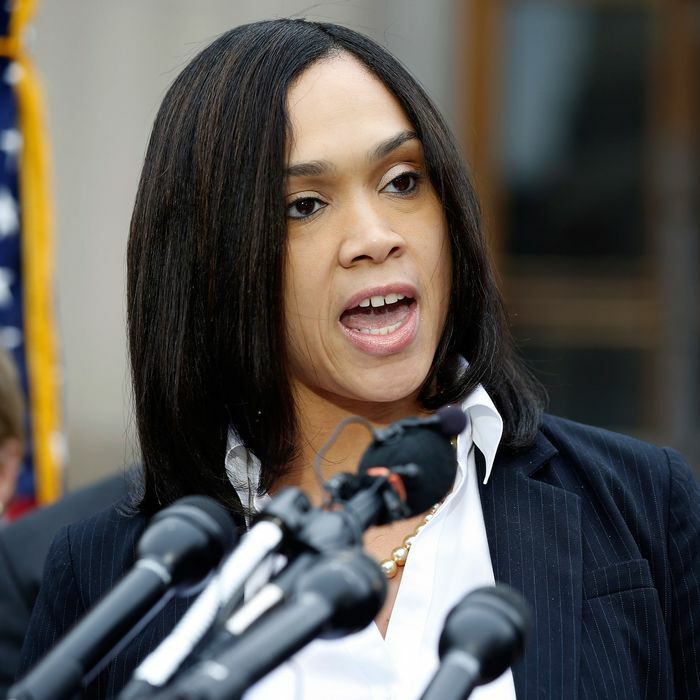 Here are seven things to know about Marilyn Mosby. 1. Mosby was raised by a single mother in inner city Boston, and many of her family members were cops. Mosby’s mother, father, grandfather, and uncles were all police officers, so she’s intimately familiar with the workings of the police force. 2. Mosby is a graduate of Boston College Law School, and previously worked at an insurance company. Before being elected Baltimore City state’s attorney, she was Maryland’s assistant state’s attorney, working on prosecuting general trial felonies. 5. Mosby’s husband, Nick, is a Baltimore City Councilmember representing West Baltimore. He’s spoken out about the death of Freddie Gray, and even got into a heated discussion with a Fox News reporter over the looting that took place during some of the protests. The couple has two daughters.